One of my favorite treats during fall is, of course, pumpkin pie. I have mine completely naked sans the whipped cream or cool whip, but I have been known to eat half of an entire pie in one sitting. 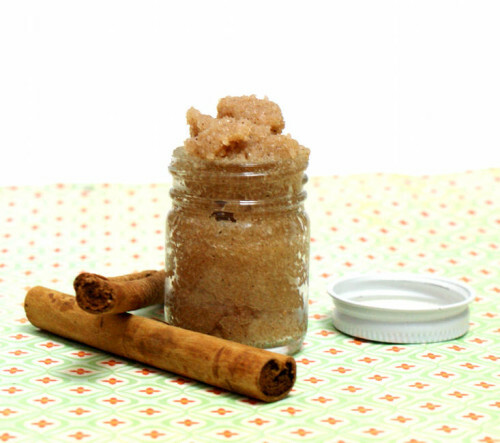 This homemade natural vanilla and pumpkin spice salt scrub recipe is reminiscent of that most delectable dessert. Plus it’s all natural just like your food should be! Using a digital scale weigh out the sea salt into a glass bowl or Pyrex measuring cup. Weigh out and stir in the apricot kernel oil, agave syrup and vanilla extract. Now measure out the nutmeg with a measuring spoon and add to the bowl. Using a glass dropper or plastic transfer pipette add the essential oils. Whisk with a fork then spoon into a four ounce container. To use simply slather onto wet skin and massage in. Rinse, then pat dry. 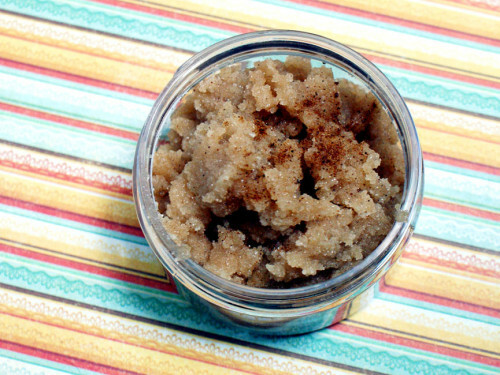 For more of my homemade salt scrub recipes visit Rebecca’s Soap Delicatessen. Prefer sugar? 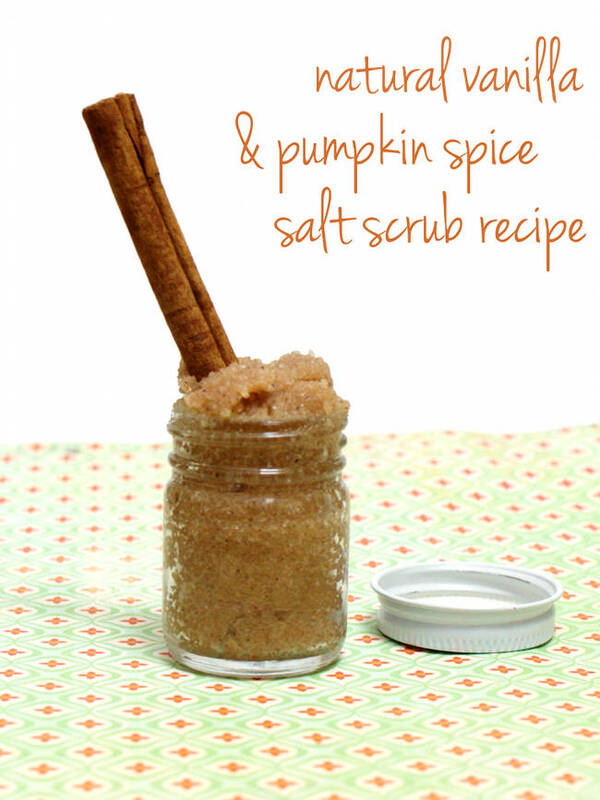 Try my Homemade Pumpkin Sugar Scrub Recipe. Also be sure follow my DIY Bath and Body Pinterest board for even more homemade scrub recipes, homemade soap recipes and beauty DIY’s. Oh my! I bet this smells heavenly and leaves your skin feeling great! Thanks for sharing! Can’t wait to try this out.